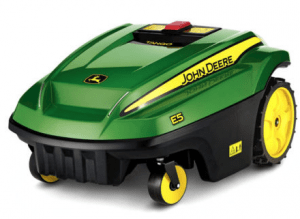 The John Deere Tango E5 Series II is the only robomower that John Deere have released which may be because they are primarily an agriculture manufacturer. But do not lead yourself to believe that they have used any less effort producing this piece of equipment than any of the others. They have in fact built a very impressive model. It is robust so can handle tougher weather conditions than most and produces a clean and even cut just like the high end models in the market. Considering this and the price tag they have put on it, it’s clear they are confident that it can compete with the best in the business. So how does it fair against the likes of Husqvarna, Robomow and Honda? Well that is exactly what I intend to show you. After finishing this review you’ll be able to decide for yourself if the Tango is really worth the price tag and if you should consider purchasing one. Should You Buy This Mower? Where can I Buy This Model? The Tango operates using a singular rotating, steel blade with two edges. 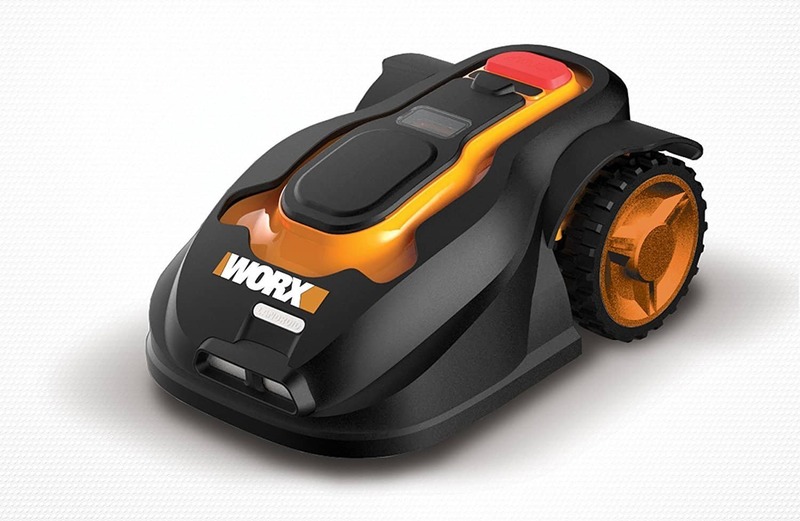 It has been specifically designed to last longer than any other mower. In fact John Deere have said it won’t need to replaced or sharpened at all during the season. Which is very impressive considering most robomowers need to change every month or so. This means it is no match for areas of longer grass. So at the beginning of spring there will be no need to pre-mow, saving a great deal of effort that other models cannot. Not only has the blade been designed withstand long term wear and tear, but it also produces a fine and delicate cut. It cuts your grass up into very small pieces and ensures this is all done evenly. Making your lawn look better than it ever has done before. And not only that but your garden will begin to look better as weeks go past. Since the clippings are so small they can squeeze all the way down to the bottom of the soil where they can decompose and act as a natural fertiliser (mulch). This means they will pass on nutrients to the soil which in turn promotes better grass growth. Which results in a much greener, fuller and healthier looking lawn. So that the Tango can adapt to the different times of the year (especially the beginning of spring) its blade can be adjusted. By rotating the protective shield that covers the blade, you can change the height at which it cuts. You can choose from anywhere between 19 to 102mm and is totally up to you how low you want it to cut. But a little word of warning. f you choose to ignore this then you’ll just end up with an uneven lawn. Just give it a week or so and you’ll be good to go. Compared to the pattern you would use with a normal mower, the Tango will look like it moves very strangely. But if you compare it to other robomowers, it will just look normal. With the assistance of on-board sensors and the boundary wire, the Tango navigates around your garden using a random pattern. 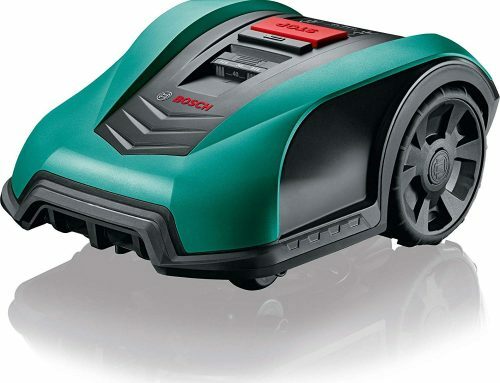 This ensures that no wheels marks are left over after mowing and that it doesn’t run into any obstacles. So that every area is cut evenly, it can even adapt to the areas of longer grass while on the move. Meaning you don’t need to change its settings to do so. And if the edges of the lawn are looking a little rugged, you can send it out to mow around the boundary wire. Keeping your lawn just that little bit tidier. 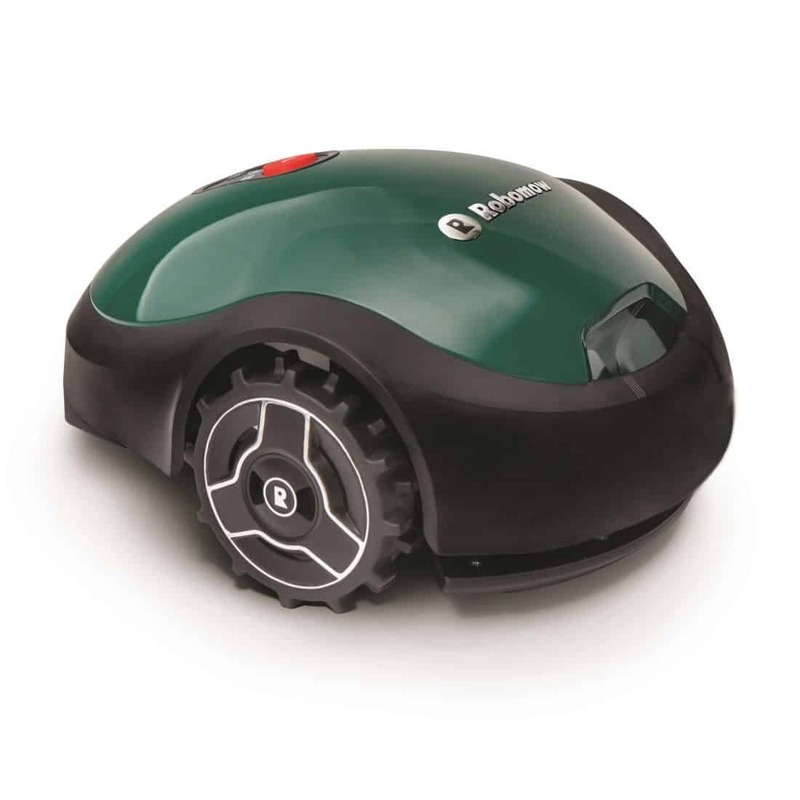 Just like any other robomower, you can give the Tango a mowing schedule to abide by. 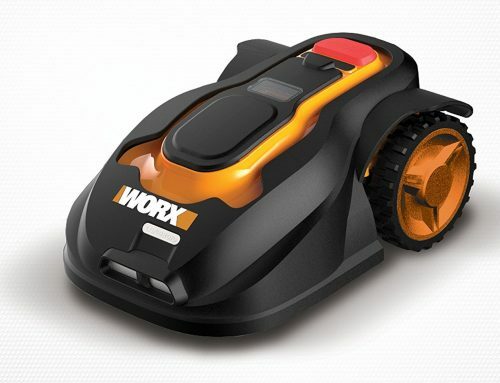 So you can program it mow while you’re at work five days a week, every second day or every day if you want. In fact because it’s so quiet you can set it out during the night. So you don’t have to be disturbed whenever you want to relax in the garden. The mower really works to your command so program however you like. And don’t think doing this will be all that difficult. 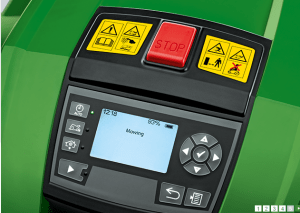 Its control panel is very simple to use and you shouldn’t have any problems. It has a big screen with big buttons and logical controls which even the newbies will feel comfortable with. It even comes with a ‘next step’ function which tells you what the Tango is doing right now and what it plans to do next. 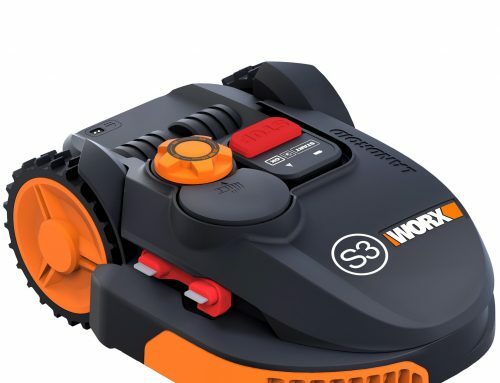 This is a much more user-friendly interface than you’ll find on any mower so if you aren’t the best with technology then this may be the model for you. The Tango is powered by 25V Lithium-ion battery and electric motor which produce a working and charging time of 90 and 80 minutes respectively. Considering the size of lawn this bot covers, it is unlikely to completely finish mowing before needing recharged. But don’t worry this won’t affect you in any way – well you might be left with an unmown lawn for 80 minutes but nothing other than that! As you will have realised, the Tango comes with its own charging station which you install to your garden. This means the mower can recharge itself without any help from you. With some assistance from the guide and perimeter wire, it will make its way back to the station and begin refilling’s the battery automatically. So you really can put your feet up when it gets work. As you were reading there you probably noticed I said ‘electric motor’. So yes the John Deere Tango E5 is completely Eco-friendly just like every other robomower out there. Not only is it very quiet (as mentioned above), it also gives off zero emissions into the air. Keeping not only you and your neighbours happy (because of the lack of noise) but also Mother Nature. If you don’t want the Tango resting during the night in plain sight during the night then you’ll love this feature. From anywhere up to 15m outside the boundary wire you can place charging station and still have the mower find it. You can have it hiding under a bush, under some decking (provided there is enough space) or even in the shed (but you’ll need to install some sort of mower flap for this to work). Use your imagination and the station can really be placed anywhere you want. You’ll just need to make sure there is enough space for the guide/perimeter wire, the station and the mower itself. It doesn’t really matter where just know it’ll be much safer than any other mower. To show you how this is done correctly, have a watch of the John Deere video below. Here they have given you an example of where it can be placed and just some requirements. As I’ve already said, the Tango has been designed to be robust and long-lasting, which includes handling the worst of the weather. 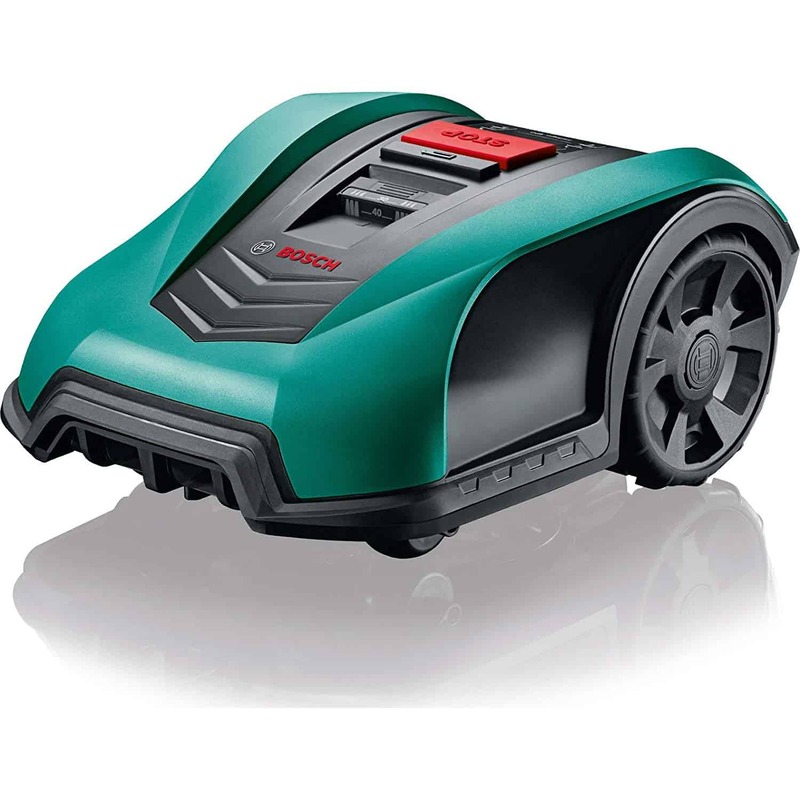 Which is no problem, the mower has been built with a double cased exterior which is completely waterproof. Keeping the electronics, the battery and blades completely safe. And that is not all, the mower can also withstand bumping into obstacles. Whenever it runs into things like the kids toys it will simply push it out of the way very gently. Keeping all the interiors (electronics, battery and blades) free from harm as well as the toy. Of course it won’t be able to push everything of the way. But don’t worry whenever it encounters something like this it will stop, beep and then continue in a different direction. So have no worries, you’ll be completely save in the garden with the Tango roaming about. If your garden is a little more complex – i.e. two separate lawns – the Tango will still handle it no problem. As long as you can still fit the perimeter wire around it and both are connected by a passage way. The mower will still treat it like one big garden without any extra help from you. However if there is no passage then I’m sorry you’ll have to carry it from one to the other. You can still install the perimeter wire around both and can even get an extra docking station. Providing both areas combined don’t exceed the mowers limitations (2,200m²) you won’t have any problems. 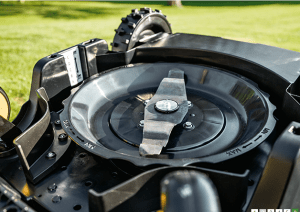 To make sure the blade turn off when the mower is either lifted or tilted, it is fitted with sensors allowing it to do just that. So if you need to replace or clean the blades, don’t feel scared or cautious. You will not be in harm’s way. If you want to be extra cautious when you need to lift the Tango then always use its handle. It has special sensors which detect whenever it is being touched. When activated it will turn of the blade just like the lift &tilt sensors. To protect your mower from being stolen and so that others can’t use it unauthorised, the Tango comes with a PIN code – which you need to re-enter if the alarms sounds. If toyed with without the code then an alarm will sound hopefully scaring away your kids or any possible burglars. 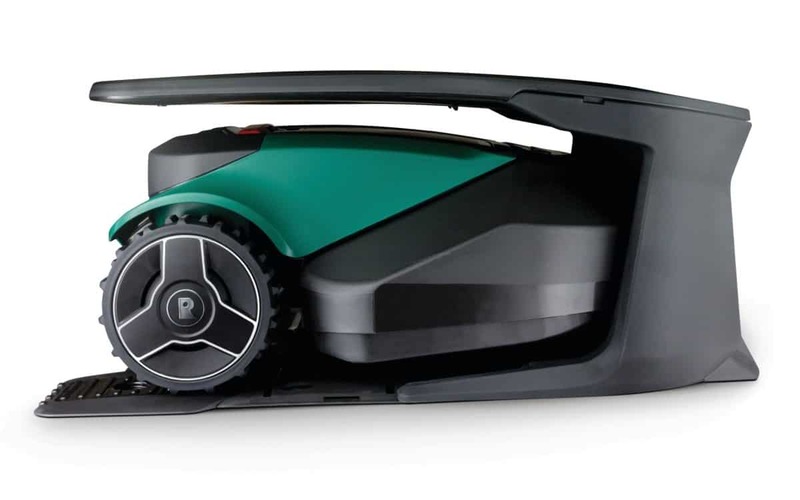 This won’t affect its mowing schedule (as it is automatic), you’ll only need it if you want to change any settings or send it out on a mow manually (using the control panel). 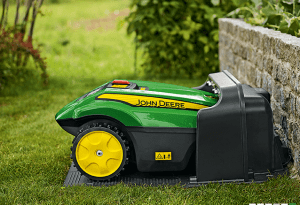 As stated before, the mower cannot cover two areas which aren’t connected by a path. Which will mean you’ll either have be home for every mow or treat one area just the same as you did without the Tango – using a regular push mower. It has no rain sensor so when it does start raining (no matter how heavy) it will just keep mowing. This could actually do damage to the grass and to prevent if from doing so you’ll need to turn if off manually and place it back to the station. Even though it has no problem going straight up slopes, this model can find it tough going across slopes. It may begin veering off to the side resulting in a poor mow. But John Deere do offer a traction kit to help with this. Like all robomowers, the Tango cannot cut beyond the perimeter wire. Which means you’re going to left with some trimming to do every week. The way you alter the cutting height can be quite dangerous. Okay I know I’m being pretty picky here but you are going up close to the blade so one false slip could result in a pretty nasty cut. That’s all you’ll need to watch out for when housing the Tango. Just make sure to consider these just as much as everything else before deciding to purchase. Overall the John Deere Tango E5 is a good model, but I still think it falls a little short of the competition. 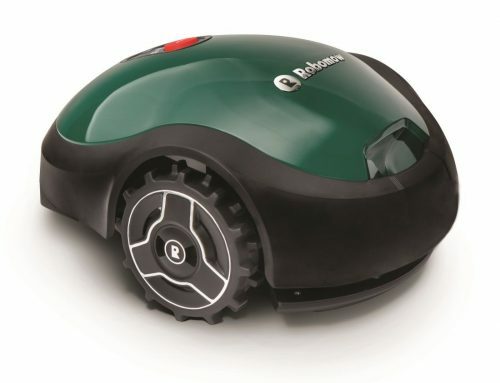 It has all the basics you would expect from a robomower (efficient navigation, effective mowing & cutting system and all the necessary safety features) but there isn’t much else there to uphold its hefty price tag. And not only that but it has quite a bit more flaws as well. In saying that what it can do it does just as good, if not better, than any other mower. Clearly John Deere have focused much more on the most important aspects than anything else. You may not get all the bells and whistles but you sure do get a great looking lawn and a very easy to use system. So in my opinion John Deere have done a good job but I don’t think it’s better than some of its competition. 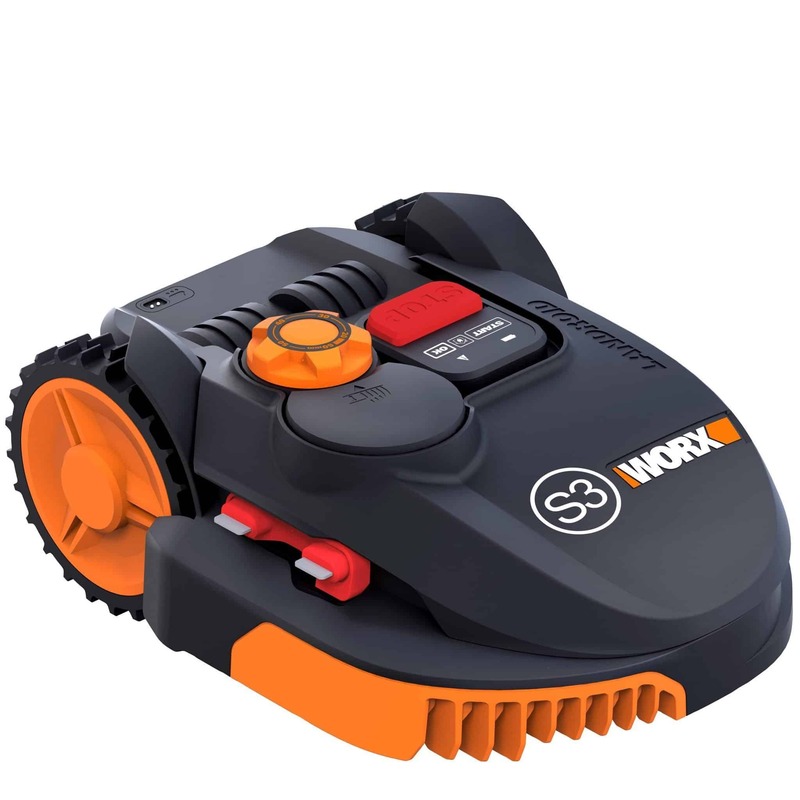 Instead I would opt for the Husqvarna 430X or the Robomow RS625, they both have more features, fewer flaws and make a great job of your lawn for about the same price. Now of course, the above is just my opinion and you are entitled to yours so if you are still interested in purchasing this model then fair enough, but you’ll need to consider a few things first. Below I’ve outlined a few factors that will help you understand whether or not you’ll make full use of the Tango’s features and if it’s suitable to your garden. So if you have a big, open and flat garden then this mower will be perfect. Just make sure you’re happy to deal with its flaws first and you’ll be good to go. Hopefully this has helped you reach a decision but if you need any extra help then just leave a comment below and I’ll be with you as soon as I can. I had never known there was such a thing as a robomower, and they are REALLY cool. I could see getting one of these for my dad, who is getting up there in age and having problems with his balance from Parkinsons. I love to mow and would not ever, I don’t think anyway, use one myself. But this is a really great idea! My brother and I are always wondering what to get my dad because he has everything, this is perfect! Aw yeah this would be great for your dad! It would take off so much weight off his shoulders. I know he would love it. If you need any extra help or have any questions with this model then please ask away, I’m here all day! I was actually researching lawnmowers that offered something just like this. So happy I came across your site. 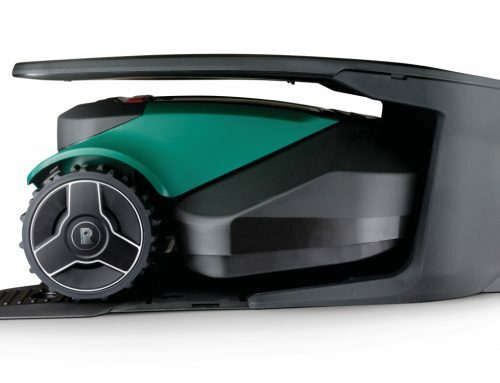 The simple fact that there are robot-mowers that exist is uber cool. I want to buy my dad one of these soon! Question: How often does replacement take place? Great I’m sure he’ll love it!! Sorry Sierra I’m not too sure what you mean, replacement of the blades? If so then you’ll need to change them over about every 2 month or until you begin to see them getting worn out.